Disclosure: Please note that I was compensated by Upromise for the content in this post. However, all opinions expressed below are my own, based on my personal experience with Upromise. As a college graduate, married to a college graduate, and parent to three children who went to college, I know all too well the great expense of earning a higher education. Even with scholarships, grants, and loans, there are still more out-of-pocket costs, both planned and unplanned. My husband and I are still trying to pay off our own student loans! The Upromise MasterCard® is perfect for the parents of future and current college students looking to boost college savings or pay down an existing student loan. It means more cash back to help students and parents reach their savings goals. According to the new study from Sallie Mae and Ipsos, “Majoring in Money: HowAmerican College Students Manage Their Finances” 68 percent of college students said their parents influenced their decision on which great card to get first. The Upromise MasterCard® is the perfect card for parents to use regularly and not only build credit, but also cash back rewards. 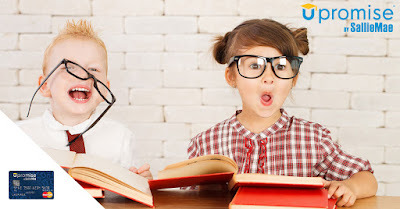 The potential to earn cash back for your child’s college fund or student loan(s) is not only smart for you, but a great lesson to teach your child! The card offers significant cash back options, with up to 10 percent cash back for college! Parents can easily put their cash back toward saving for college or paying down an existing eligible student loan. 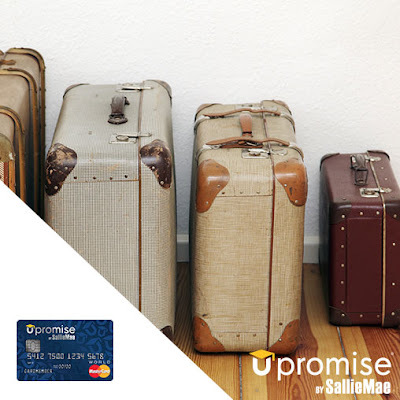 You can earn up to five percent back through Upromise by Sallie Mae, when you shop at more than 850 online retail partners at Upromise.com, dine at more than 10,000 Upromise participating restaurants, and book travel at major travel sites via Upromise.com, and an additional five percent from using the Upromise MasterCard®, plus you can also earn two percent cash back when using the Upromise MasterCard® for in-store shopping at major department stores and at movie theaters. All other purchases with the card are eligible for one percent cash back. New cardmembers can also earn a one-time special offer of $50 cash-back bonus after making a purchase, cash advance transaction, or balance transfer within 90 days of opening an account. The cash back earned on everyday purchases can be invested in an eligible 529 college savings plan, used to help pay down an eligible student loan, transferred into an FDIC-insured Upromise GoalSaver account, or withdrawn by check. 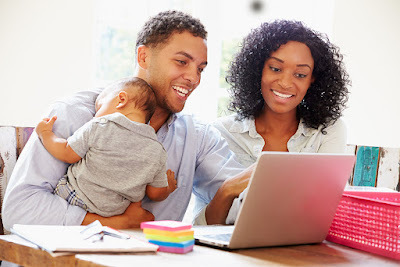 Upromise GoalSaver is a free online savings account that lets families save toward a specific goal, or even multiple goals all in one place. With Upromise GoalSaver, students and families see and track their progress. Unlike other credit cards that offer points that expire or you may simply never redeem, the Upromise MasterCard® means cash back. There are no limits to how much cash back you can earn, no expirations, no annual fees, and no rotating cash-back categories. In addition, you’ll stay on top of your credit with free access to your FICO® Credit Score, and enjoy $0 fraud liability on unauthorized transactions. Cardmembers also receive special cash back offers via email. 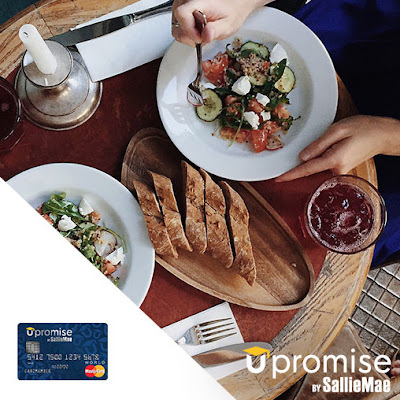 When you open the Upromise MasterCard®, you’re automatically enrolled in Upromise by Sallie Mae, a program that allows families to earn cash back on everyday purchases. With more than 850 online retail partners, more than 10,000 restaurants, and multiple major travel sites, chances are most families are already shopping, dining, or booking travel through a Upromise partner. So it makes sense to earn cash back and start boosting savings on purchases from major retailers travel sites like Travelocity, Hotels.com, and Expedia. What’s more, by applying for the Upromise MasterCard® - issued by Barclaycard - students and families can take saving for college and other financial goals to the next level. 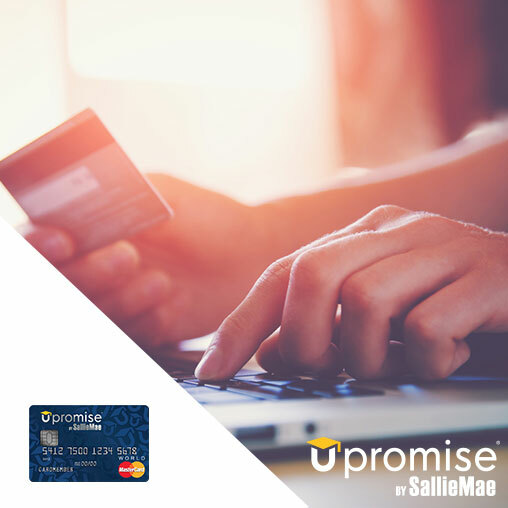 Upromise by Sallie Mae members can earn higher cash-back rewards and grow their college savings more quickly with the Upromise MasterCard®. Last year, cardmembers earned $42 million in cash back rewards. 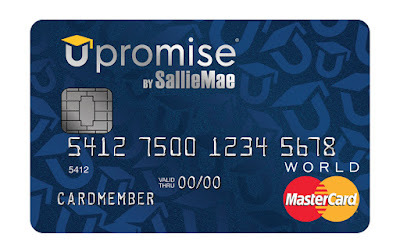 Get your Upromise MasterCard® today!